Radicality (years 7-9) is a Junior High Bible Study that runs during school term during our morning services. We meet together after the opening bracket of the Church Service to play cards, chat and study the Bible. 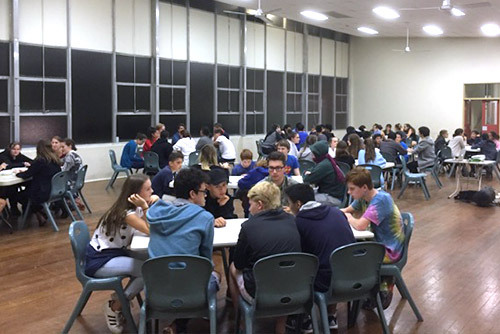 The Senior High Growth Group (years 10-12) meets each Sunday in school term from 5:30-7pm. We have dinner together, study the Bible and then share in prayer time. Afterwards, most members attend the Evening church service. Friday Evenings 7.30 – 9.30pm in the church grounds. Our Friday Night Youth Group is a mixture of high-intensity games, chill out time and learning about the Christian Faith. It’s a group which attracts High Schoolers from both private and public schools in the surrounding suburbs. 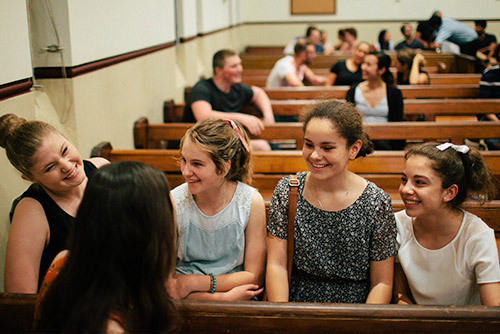 On average we have over 50 youth attend and the program is run by University Students and Young Workers who are keen to talk about their lives and faith. Each night we hope to clearly describe what Christians believe and to establish long-lasting, deep relationships through our various activities. Each year we run a camp for our Youth Group. 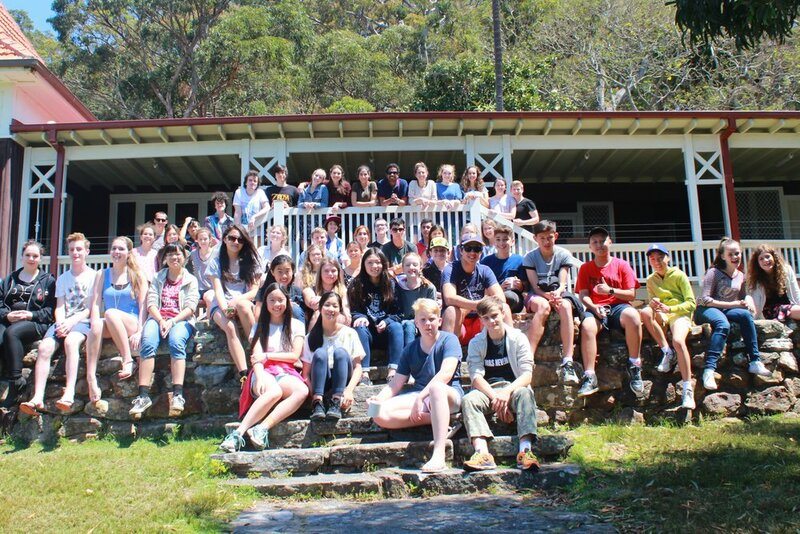 We travel to Port Hacking for the weekend where we spend time building deeper friendships and starting new ones. We also spend a significant time thinking about what it means to be a Christian in our daily lives. This camp is open to anyone in High School or who will be attending High School in the following year. St James is committed to the highest standards of care and safety in our programmes for children and youth. All adult staff and volunteers in these programmes have a Working With Children Check as required by law. Additionally, they must also complete ‘Safe Ministry Training’ and have a refresher every 3 years. The church has a Safe Ministry Representative who monitors the currency and record-keeping for these accreditations.